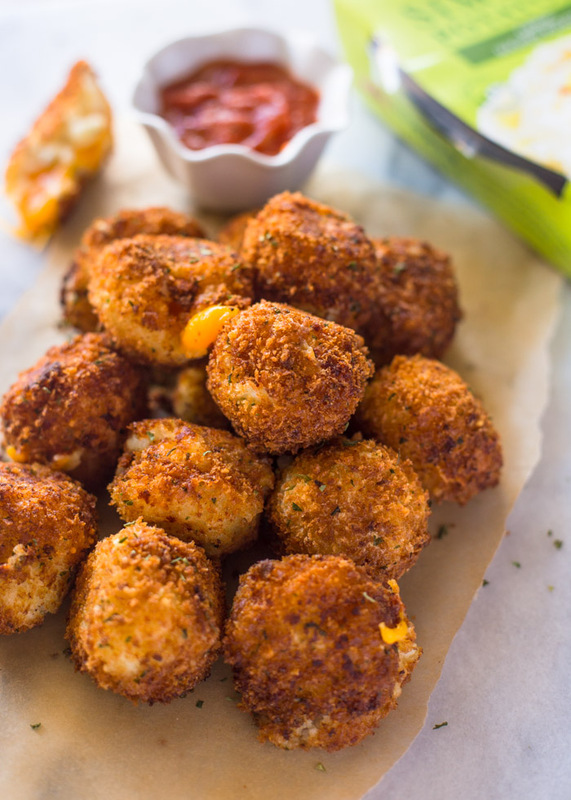 Mashed potato balls stuffed with bacon and cheddar cheese and fried till crispy and golden. 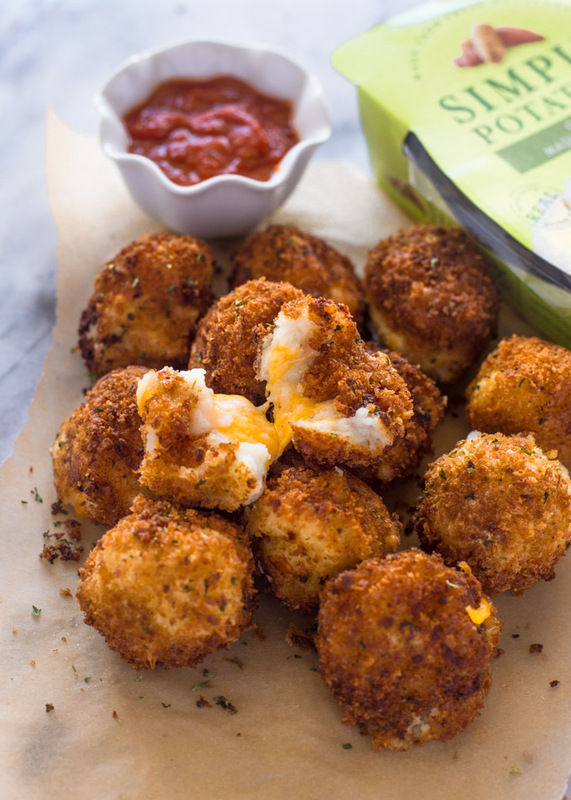 Crispy on the outside and soft and fluffy on the inside with a center of gooey cheese, these mashed potato balls make the perfect side! Alright people. This is officially the BEST and ONLY way to eat mashed potatoes. 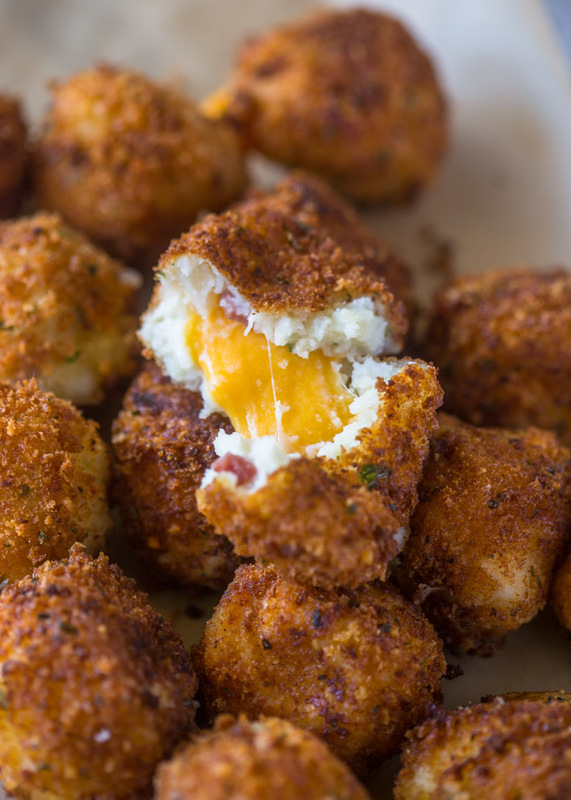 These mashed potato balls are a dream come true. This recipe takes the basic mashed potato dish and elevates it to a whole new level. 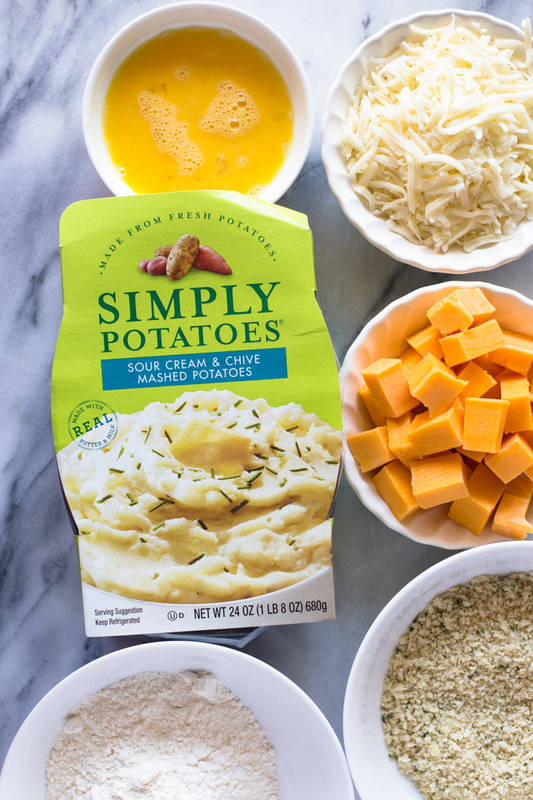 To begin, you will need a block of cheddar cheese cut into small 1/2 inch cubes, some shredded mozzarella or cheddar cheese, 2 slices of bacon, panko, flour and eggs for coating and the most important ingredient, a 24 oz box of Simply Potatoes® mashed potatoes. Using these mashed potatoes makes the job sooo much easier and eliminates the risk of you ruining your own mashed potatoes. 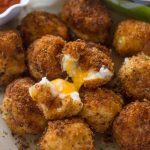 You will need fluffy mashed potatoes for these balls and Simply Mashed potatoes are always light and fluffy. 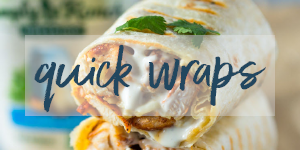 They are also made with real ingredients and made with fresh never frozen potatoes. 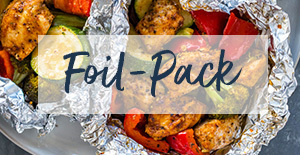 Plus, No peeling or shredding required! 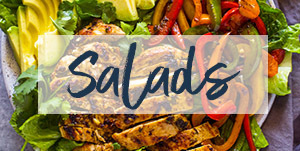 They come in 6 varieties: country, original, sweet potato, parmesan peppercorn, garlic, and my favorite, the sour-cream and chive mashed potatoes. 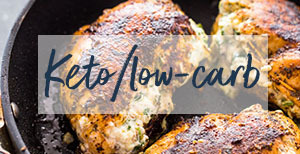 Feel free to use whatever variety you prefer but I highly recommend this recipe with either the sour-cream and chive or the garlic mashed potatoes. I used the sour-cream and chive. Simply combine the mashed potatoes, mozzarella cheese, and cooked bacon. The mixture will form a nice and fluffy dough that is easy to work with. If the air is too humid where you live, you might need to add a few tablespoons of flour to the mixture. Next you roll a few tablespoons of the mixture into ball, stuff it with a cheddar cheese cube, and bread it in the panko breadcrumbs mixture. 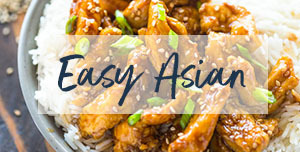 Fry until golden and crispy on the outside and enjoy! note: see video below for more info on how to cook the bacon and roll balls. 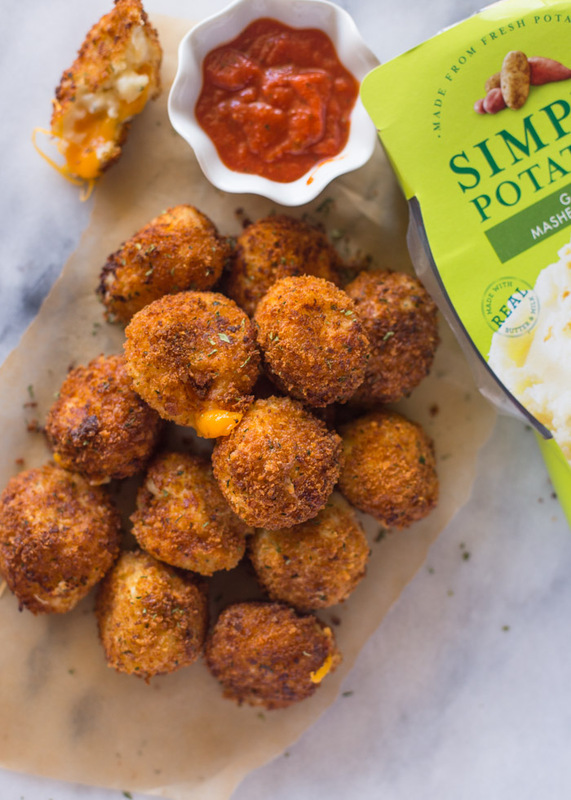 Cheese Stuffed Bacon Mashed Potato Balls + Giveaway! Open the simply potatoes mashed potato plate and drain any liquid that has settled. 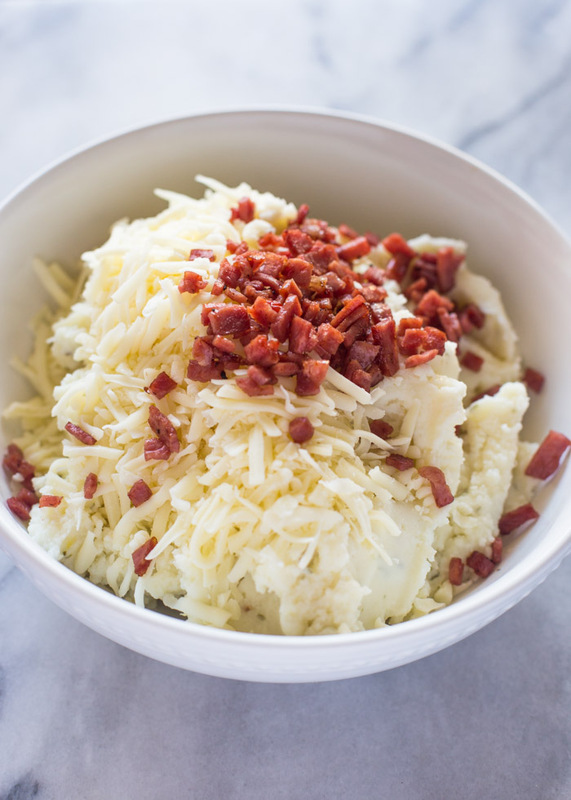 In a large bowl, combine the mashed potatoes, shredded cheese and cooked bacon. With lightly floured hands - pick up a tablespoon sized ball of potato mixture and flatten into a small pancake. Place cube of Cheddar in the center and wrap the potato mixture around the cheese. Repeat for the remaining balls. Place Flour, Bread Crumbs, and remaining egg in three separate bowls. Coat the potato ball in flour, then eggs, then bread crumbs. Now for the best part!!! 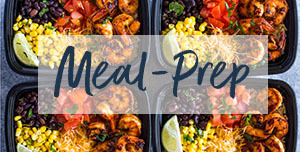 Simply Potatoes and I have teamed up to give one lucky reader a Le Creuset Rectangular Baking Dish Caribbean, 1 4/5 QT ($50.00)! To Enter: follow the directions in the giveaway box below. You must leave a comment in the comment section below letting us know what is your favorite mashed potato flavor. After that entry, you will be given the option to earn additional entries by following Simply Potatoes and Gimme Delicious on our social media channels! WHAT’S IN THE sIMPLY pOTATOES? I don’t have such a thing where I live. 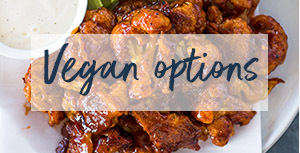 I want to try this, but I don’t want to mess up the receipe. Says 2 eggs what did you with the first egg? Both eggs are used for battering. 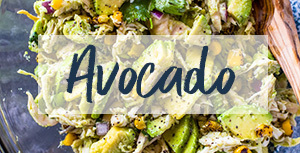 Hi, i have tried doing a similar recipe as this. But my cheddar cheese cube did not melt well. May i know what type of cheddar cheese is recommended to have it melt properly? Just want to say thanks n Happy New Year’s to u all. I love the Garlic mashed potatoes,I will be trying the Sourcream and Chives for sure!???? I like garlic mashed potatoes the most. My favorite is garlic mashed potatoes with cheddar cheese. I like sour cream and chives mashed potatoes! I like garlic mashed potatoes. The roasted garlic looks good! I like “Loaded Mashed Potatoes” flavored with everything – cheese, bacon, sour cream, and green onion! Sour cream and chive! Yum! My favorite is garlic mashed potatoes. I like mashed potatoes that are flavored like butter.